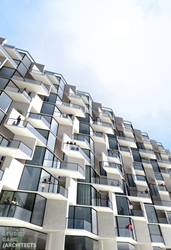 Schöck Isokorb® will be used in four of the balconies and will be the first project by Jeanne Gang of Studio Gang Architects to test structural thermal breaks. Chicago’s City Hyde Park, a 15-story development located at 5105 South Harper Avenue, is designed by Studio Gang Architects and set to complete construction this year. This will be the first project in Chicago to incorporate Schöck Isokorb® structural thermal breaks into concrete balconies. The City Hyde Park development is anchored by tenant Whole Foods and will be a residential and retail mixed development. The development will feature 180-residences, two underground levels for parking and a 7,700 square foot green roof. Many features are implemented to target a minimum LEED Silver certification. The residential units will have column-free corner balconies, operable Juliette balconies and sun-shaded cantilevered balconies. Schöck Isokorb® will be used in four of the balconies and will be the first project by Jeanne Gang of Studio Gang Architects to test structural thermal breaks. 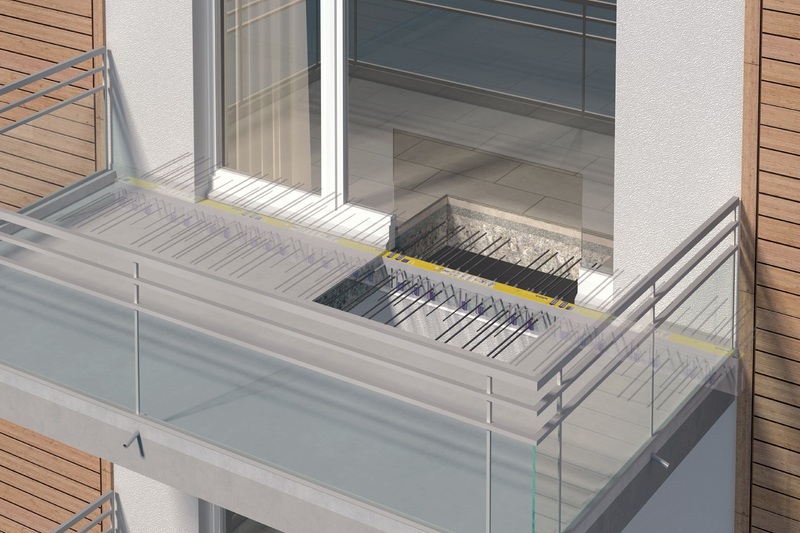 Schöck Isokorb® structural thermal breaks minimize thermal outflow and energy loss through the balcony, contributing to energy savings, and providing added thermal comfort for the residents. This effective thermal insulation reduces the risk of high levels of condensation, mold formation and associated damage caused along the ceiling slabs interior of the balconies. For more information please contact Schӧck USA Inc. at 855 572 4625 or visit http://www.schock-us.com. The Schöck Isokorb reduces thermal bridges between exterior and interior components to a minimum. The risk of condensation formation and consequently structural damage and possible mold growth is prevented. The Schöck Isokorb can be used in both Institutional Buildings and High Rise Residentials. 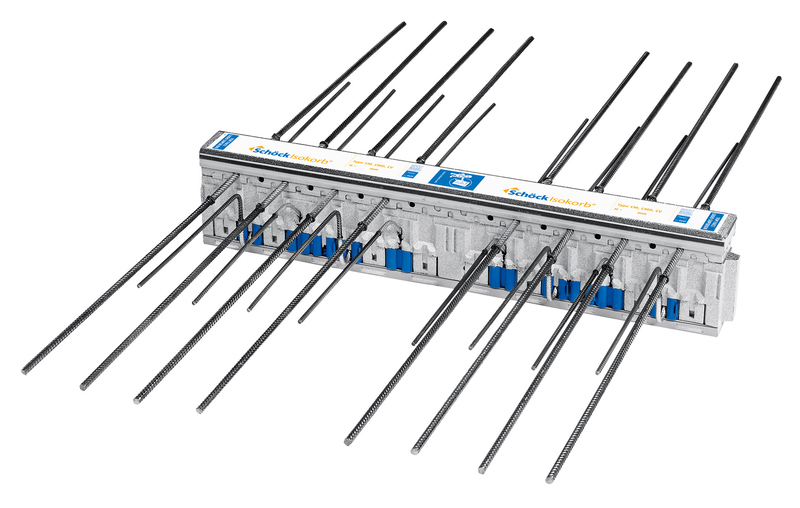 The product lines of Schöck Isokorb Type CM and S allow the thermal insulation of concrete and steel connections and offer maximum design freedom. At the same time the products ensure structural integrity. The Schöck group consists of 13 companies and 650 employees, and is headquartered in Baden-Baden, Germany. They focus on the development of high value components that are part of statics and building physics, such as the products that avoid thermal bridges or impact noise in the building. The main product is the Schöck Isokorb® - a supporting element to heat insulating cantilever bridges on the components such as balconies, porches or canopies. With over 12,000 standard types and solutions for use in concrete, steel and wood, Schöck is the leading specialist in this segment. They have solutions for both new construction and building modernization. 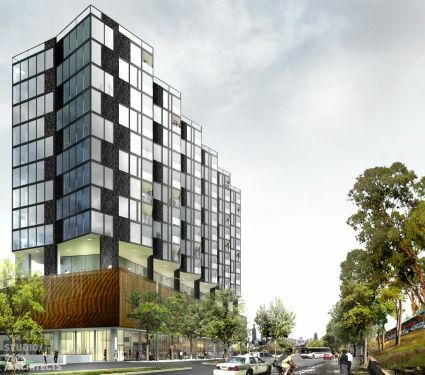 Rendering of City Hyde Park by Studio Gang Architects. Photo courtesy of: Studio Gang Architects Detail of Schӧck Isokorb® type CM for concrete slab connections. Stainless steel elements provide dramatically reduced thermal conductivity.Photo courtesy of: Schock USA Inc. Placement of Schӧck Isokorb® type CM for concrete slab connections in the floor assembly at the building envelope. Photo courtesy of: Schock USA Inc.